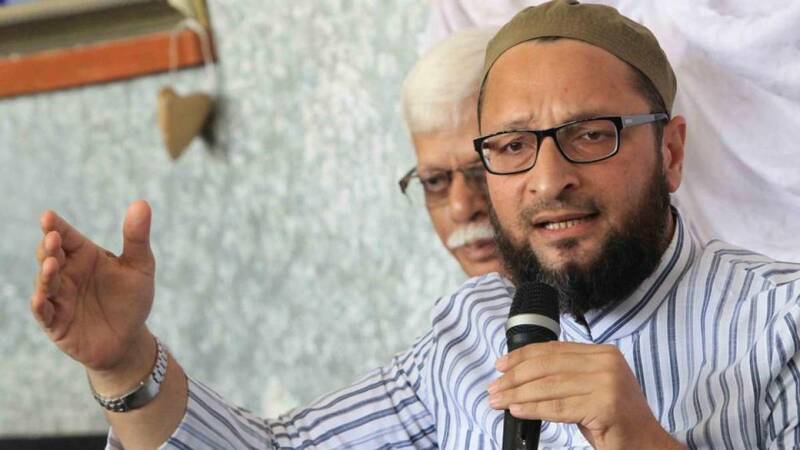 New Delhi : Citing the five Kashmiri Muslims, including soldiers, killed in the terror attack on a Jammu Army camp, AIMIM chief Asaduddin Owaisi on Tuesday slammed those who question the patriotism of Muslims, asking why they were silent on this issue. Every day at 9 p.m. on television the nationalism of Muslims is questioned and questions are also raised on Kashmiris. Out of the seven killed in Jammu, five were Kashmiri Muslims including a woman who was pregnant. Now everybody is silent on their death," Owaisi said, asking "why such silence on this issue"? He was referring to the death of seven persons, including six soldiers and a civilian, in the Sunjuwan military camp terror attack. On February 10, a group of heavily armed Jaish-e-Muhammad (JeM) terrorists entered the camp after hurling grenades and using automatic weapons. Ten others, including six women and children, were injured in the attack.